I have always been a big card person. Birthday cards. Anniversary cards. 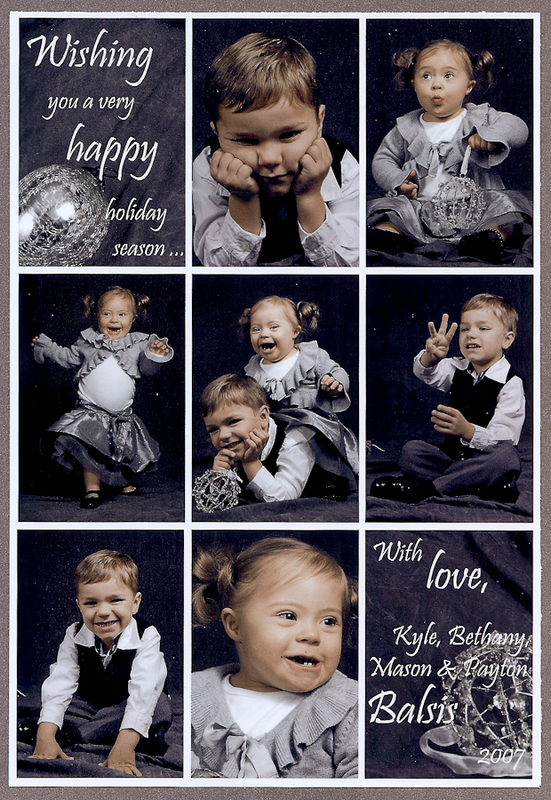 Christmas cards. I love them all. It took my husband a few years to figure this out ... but now we are good to go. Ahem. 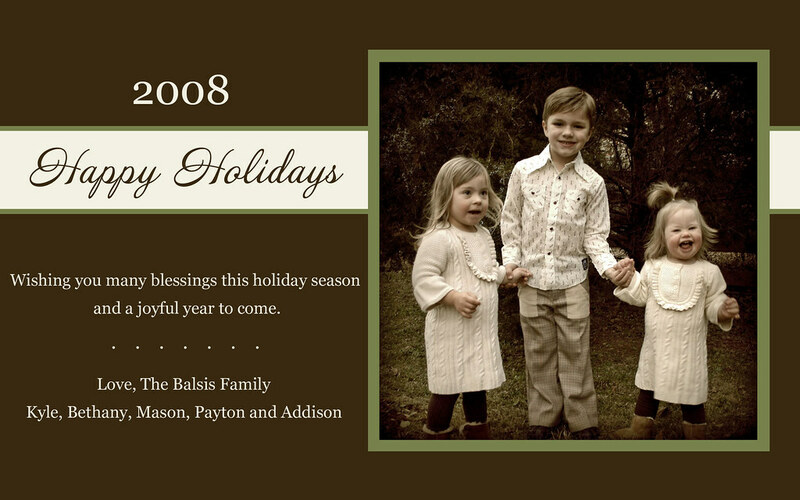 The other day I was moving some older pictures off of my laptop and onto my external drive ... and I came across our old Christmas cards. 2006 ... I loved this card ... and still do. I have a metal thingamajig that holds all of the Christmas cards we get each year. I love having them compiled in one place and the kids love looking at them. Are you a card person ... or am I just really high maintenance? Don't answer the last part of that question. I spent all season looking for a thingamajig that I like. When I find the right one, I'll know! I love cards, too! We have all of ours hung on the doors to our 4-season room/my office... although I am in love with your thingamajig -- I'll have to keep my eye out for one of my own!! Love your cards over the years! Stinkin' adorable!! 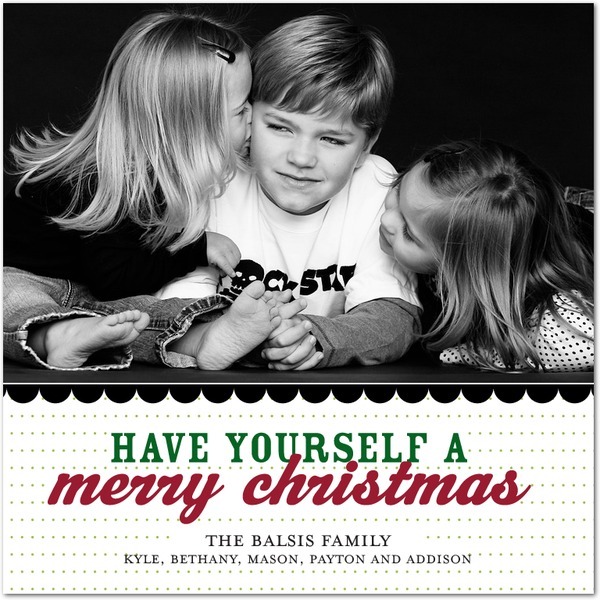 I love Christmas cards too!! I have to say I love your holder and your cute little backpack organization in the background!! I love cards, too - but I haven't found a good thingymajig for our house yet! Yup, I'm a card person too. In fact in one of my Christmas letters one year I started by asking, "Who started this whole Christmas card thing, I could just hug 'em because I LOVE getting updates on all of you"...or something like that :)!!! 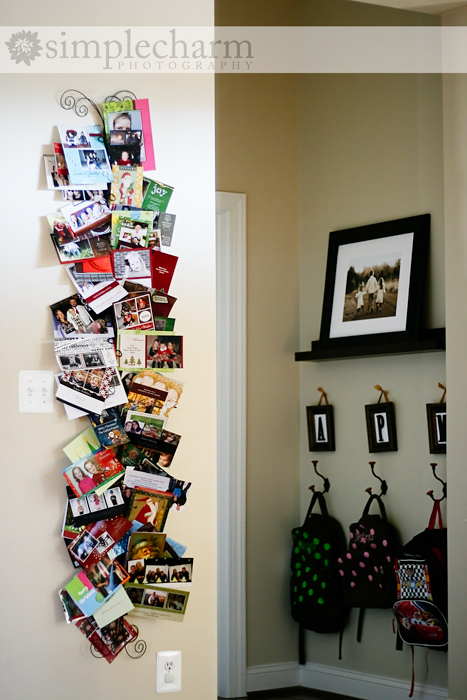 My metal thingamajig is christmas tree shaped, I love the way it fills out when all the cards come in the mail. Man, we need a card thingamajig, too, LOL! I used to tape them up on the kitchen wall by the kitchen table, until I pulled the paint off the wall and The Hubs yelled at me, LOL! 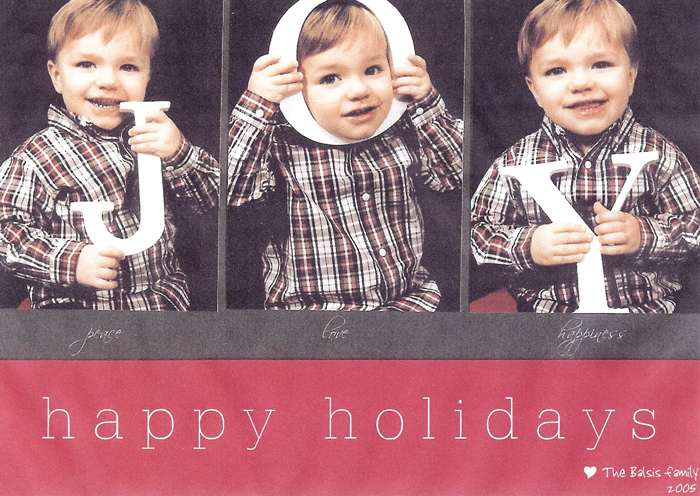 I love christmas photo cards,I also have one spot dedicated to only christmas cards. I LOVE your backpack idea with the letters, GREAT idea!! I see one on there from Linda, but not mine. Huh, wonder how that happened?! LOL! I love cards, too, but only if they have a personal note in them or especially a picture. I love getting pictures! Your cards are adorable! So, I'm itching to know, what happened with the person on eBay that bought the Zhu Zhu pets? I have made that shipping error myself! For some reason, I don't care as much about xmas cards, but LOVE cards for other occasions - especially cards sent for no special reason. I love to send cards as well as receive. Funny how a folded piece of thin cardboard can make a person's day! i love love love cards, and all types. i particularly love receiving the holiday cards and have clearly passed that on to my 4 year old (he waits for the mail each day around christmas). i find them so heartwarming and i love to see everyone's families and lives. outside of holidays, i love to send cards too. so you're not alone (and to part b, no NOT high maintenance! ).